Sorry about this page being late! I just got back from TCAF last night and was a bit too tired to colour this last night. But it’s up now! And it’s the end of chapter 3! 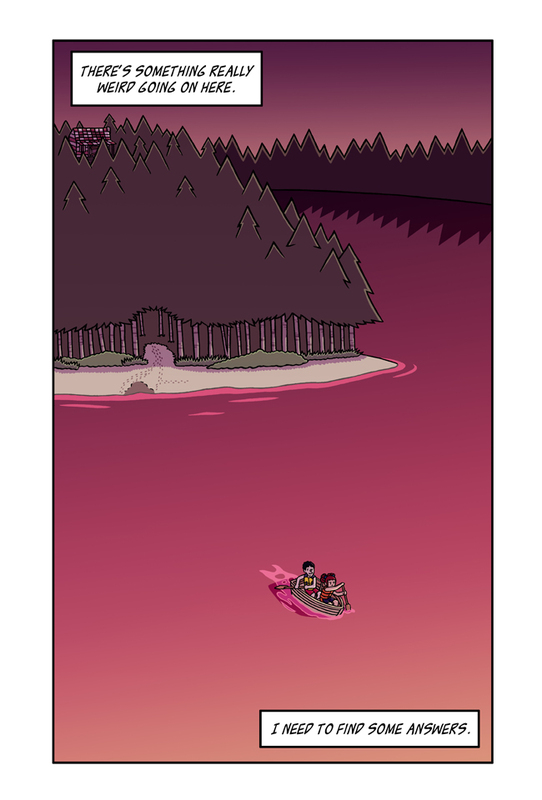 Also it’s the 100th page of Mush-A-Mush! So lots of excitement!! I hope you can handle all of it! Anyways I hope you enjoyed this chapter! 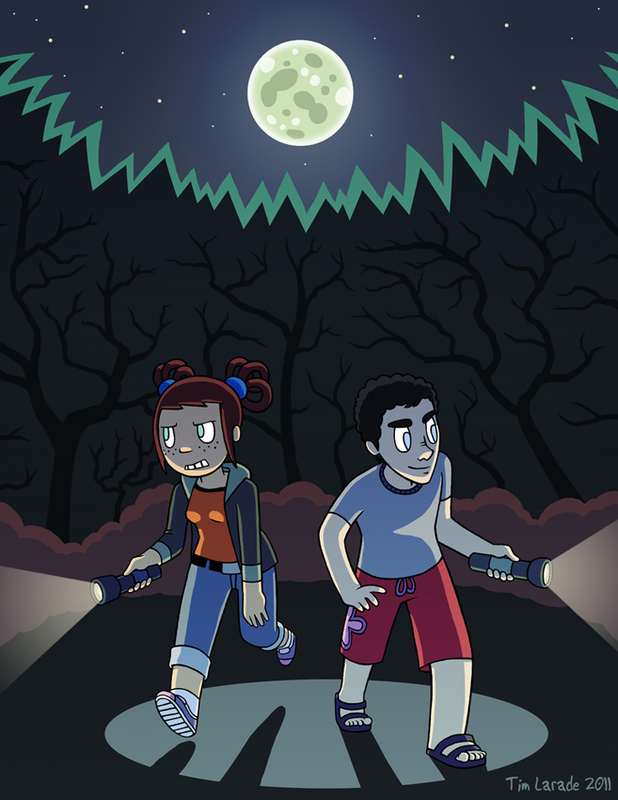 I’ll have some news soon about when chapter 4 will start, but it should be sooner rather than later! I hope you can wait! See you soon! Just one page left in the chapter! Although it might be a little late since I will be flying back from TCAF on Tuesday. So it will either be up late that night or early the next day. Oh and if you’re wondering what TCAF is be sure to check the post on the front page to find out all the details about it! Enjoy the page and see ya next week! I had fun trying to figure out the different stages of this sunset. It’s difficult finding the right colours for the right times but I think it’s really worth it! Anyways I hope you enjoy the page! Just two more to go till the end of this chapter! Hey guys! 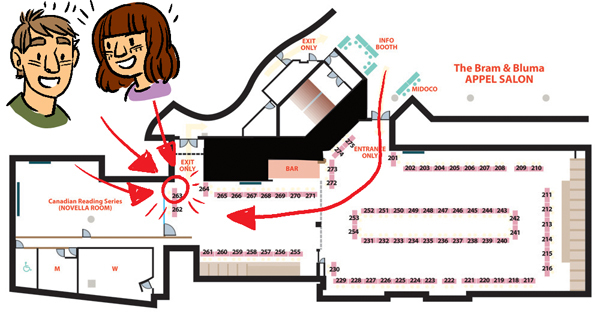 I just wanted to let everybody here know that I’ll be exhibiting next weekend (May 10th-11th) at TCAF! IF you don’t know what TCAF is, head on over to their site and find out: TCAF! I’m pretty excited! I’ve been going with my girlfriend for the past 4 years but this will be the first time I’ll be selling stuff! So if you’re in the Toronto area you should definitely stop by! What am I selling? You probably know! But if you don’t I’ll tell ya! 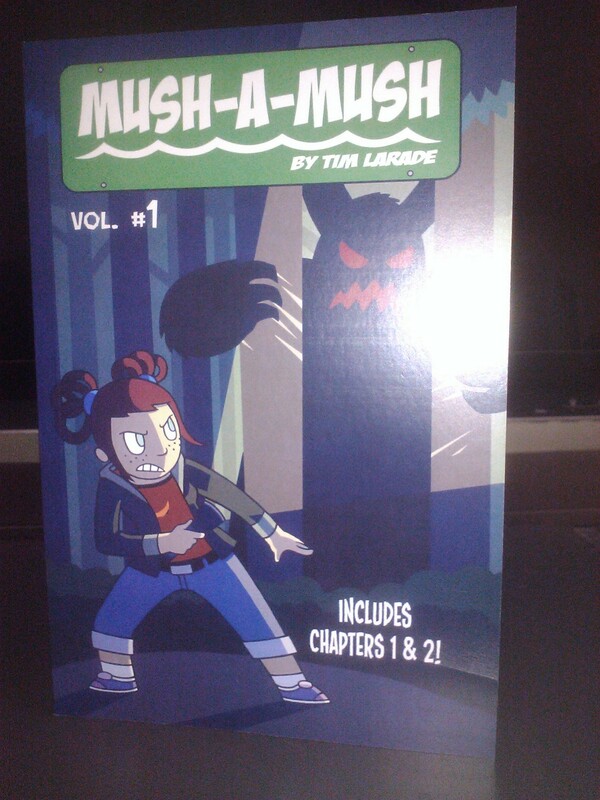 I’ll be selling the first volume of Mush-A-Mush! It contains the first two chapters and concept art. 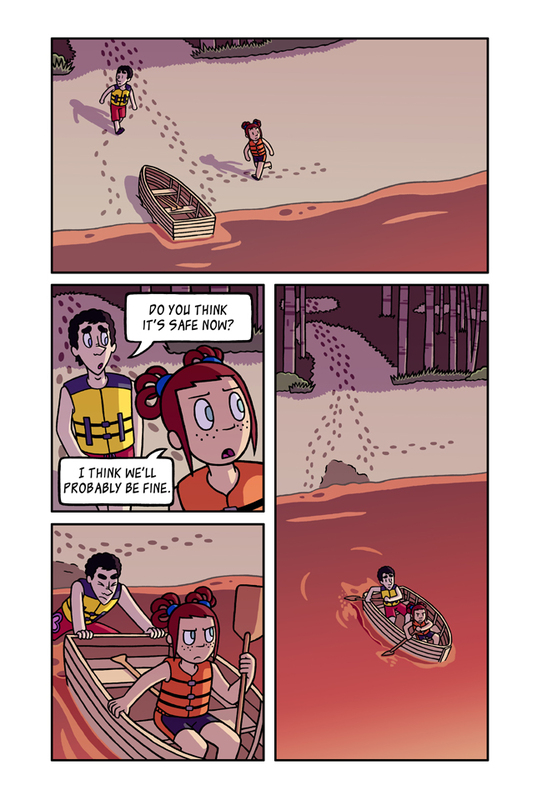 It’s 75 pages in full colour! It’s pretty nice, if I do say so myself! And you can pick one up for $15! 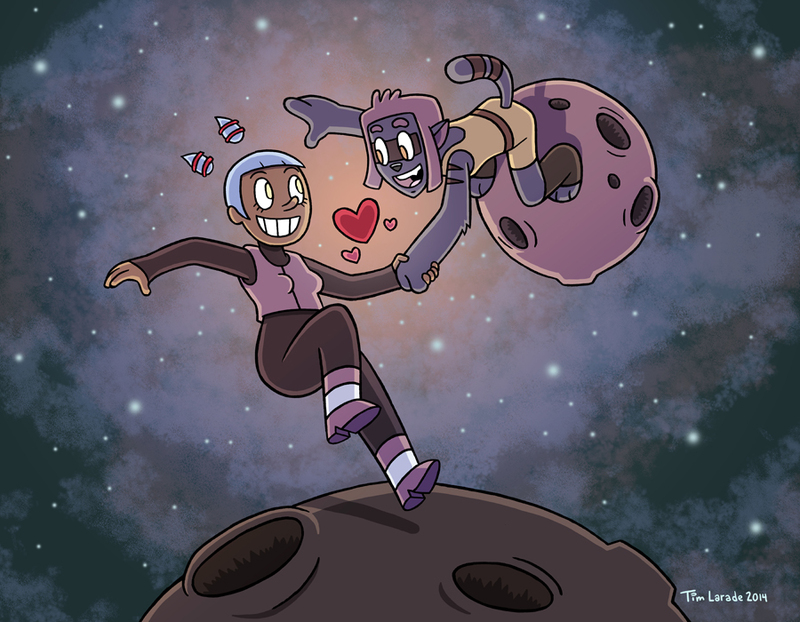 A brand new print for TCAF of Cosi and Tang, characters from an upcoming comic I plan on doing! I should also have a bunch of other prints! And I’ll probably be doing commissions as well! So be sure to stop by. Also you definitely want to stop by to check out my girlfriend, Faith Erin Hicks’ work! You’ve probably heard of her because she is so awesome! 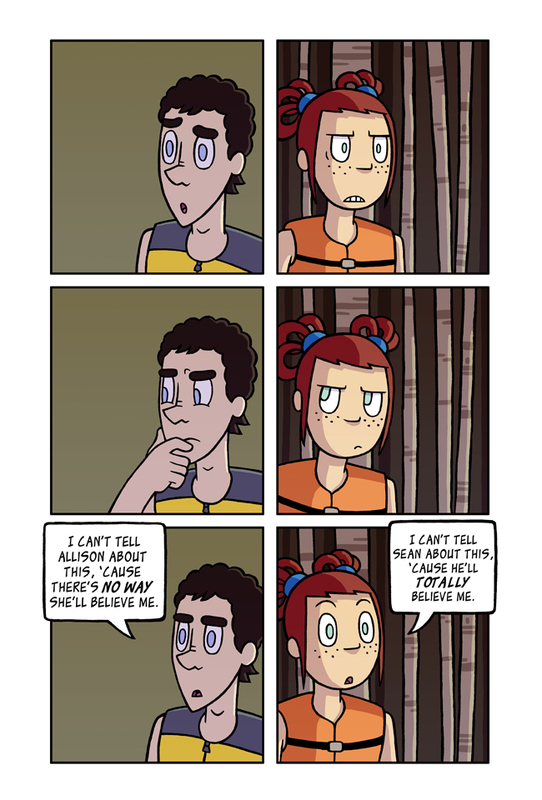 It’s fun to see the differences in Allison’s and Sean’s thought process! Later today I’ll have a post about TCAF and what I will have there! So look forward to that! 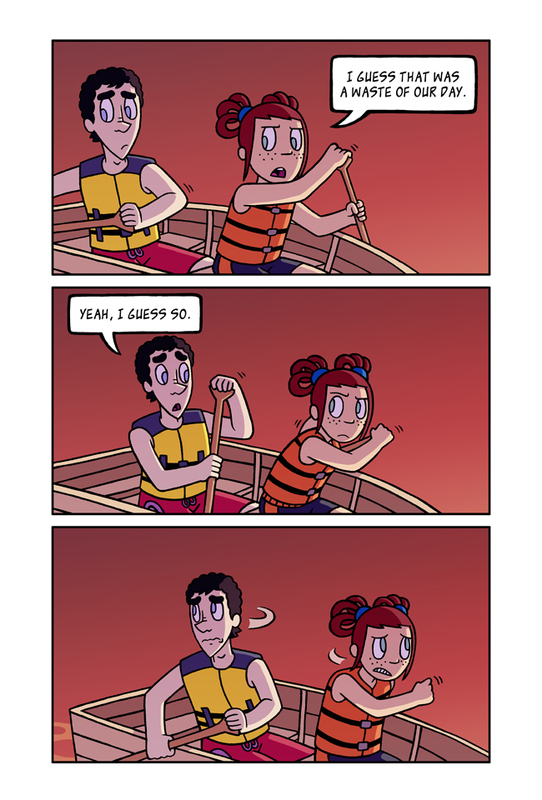 Enjoy the comic and I’ll see you on Tuesday! We’re getting really close to the end of this chapter!